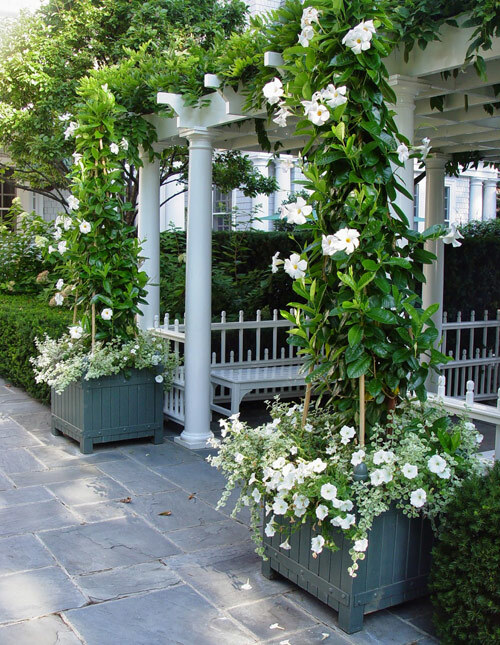 We try to offer great suggestions for creating garden planters and today we want to talk about vines or climbers that are perfect for pottery. 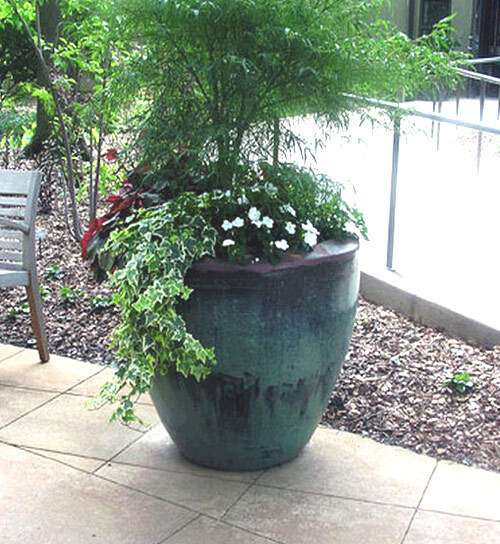 Adding a vertical touch to all kinds of planters is not as hard to do as it seems. When you display a cluster of different pots with plant materials it always looks best when you use different sizes and heights. 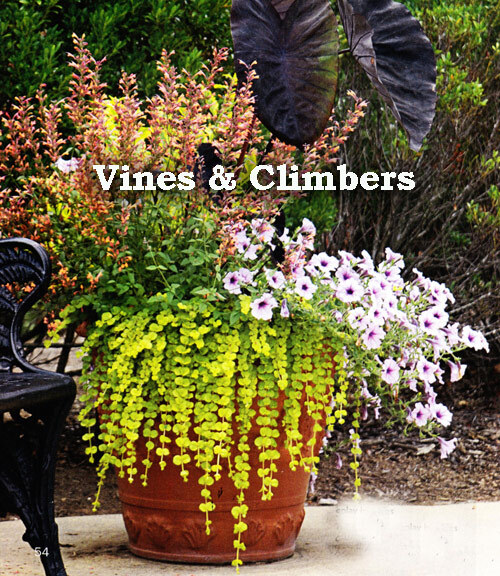 Here are the best climbing vines we think that will add a elegant touch to any garden pot. Ivy - There is nothing that works better and is used more often then placing trailing ivy draping over the outer rim of a garden planter. It has the ability to twist and turn so it can easily fill in where you want it to most. This is a great place to start because it is the most common and easy to use. What we truly love is the different foliage it offers. From deep green to variegated and it stays green all year long. 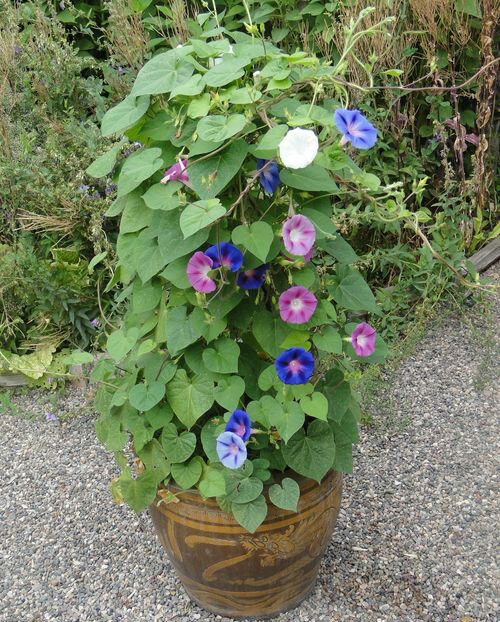 Morning Glory - It's one of those you will really enjoy because of the colorful blooms it has. Not only is it really easy to grow but it adds lots of color and beauty with it's flowers. This is one plant you don't want to grow in the ground because it will take over any garden area. It's durable and wild. 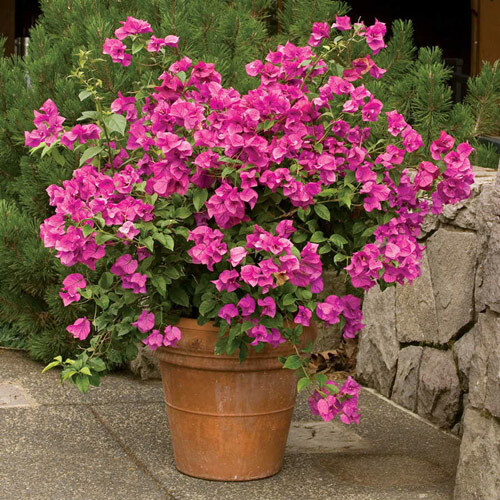 Stake it in a garden pot and it train it to go up for a wonderful vertical dispaly. Climbing Hydrangea - We love this for containers that are in the shade or partial shade. It's grows pretty aggressively so you may want to pot it up by itself. It also needs a large planter to grow in and doesn't like being contained by a small container. Hydrangea is know for being fragrant so it's perfect for a patio or porch where the fragrance can greet your guest. Bougainvillea - In Arizona we know this plant well. It really does great in the warm climate and it's stunning colorful flowers add so much to our desert landscape. Unfortunately it has barbs on it and is not the most fun to keep trimmed and under control. It's considered more of a shrub because it grows out and not just up. You may have to protect this plant in winter months. Here are a few suggestions that we hope interest you. If you give one a try let us know how you did. We would love to hear from you.